Brace yourselves, because it’s just days away from Halloween 2014. And since this year’s All Hallows’ Eve falls on a Friday, your workweek may not have not had time to prepare for whatever costume party you’ve been invited to, or playful plans you’re friends have mind. Not to fret. Leave it to the VH1 team to help you put together a pop culture get-up with little expense, travel, or difficulty! These are music-driven celebrity costumes that will have you climbing into your crawlspaces, digging deep into your closets, and pulling out the makeup and jewelry that you haven’t worn since your teens. While you might not win any awards, look to these topical, conversation-starting (and truly original) costumes that will get you through the weekend looking like you actually gave a damn. Borrow your grandma’s ‘fanciest’ suit jackets, and your (or a niece’s) smallest, most colorful tights, straighten your hair, and you’re literally golden. Oh yeah, add a TON of bleach. Get on your ‘worst behavior,’ and treat Halloween like an ugly sweater party. Just add a costume-jewelry gold chain, maybe some shades, and stubble if your hormones will allow it. 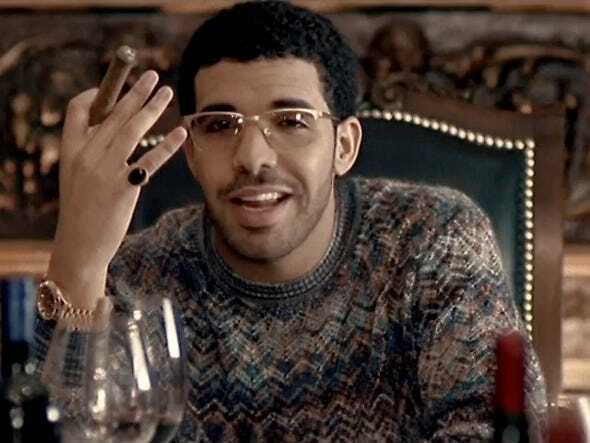 You’ll know how much swag you have, whether people are guessing Drizzy or Cosby. This party-monster utilizes all that makeup you never use, a splash of glitter, and cutting up some of the tightest clothes you never wear. Combined with a female comb-over, you can now hang with those ‘crazy kids’ looking for topical dress-ups. If this feels too basic, add a knit cap, and —ta-dah!— you’re Ellie Goulding. Get ‘freaky’ with all the spiritual beads you can possibly get at Hot Topic. Slip on an ever so-slightly wrinkled white v-neck, and prepare to throw Blue Steel at anybody who shoots a naysayer’s glance you’re way. A near-nose encounter with a Sharpie, and you’re legit loco, too. Wig out at the costume shop on the cheap, and simply add your wackiest button-up shirt, and you’re Weird. We can’t guarantee it’ll be an ticket to romance, but the costume pre-excuses any puns, humor misfires, and karaoke that may transpire. If you get too wacky, pretend you’re Redfoo from LMFAO. And everybody thought that fedora hats have lost their use in 2014. ‘Make a move’ and dress your best, so long as you’re okay being mistaken for a 1940s newsie or a 1960s bookie, depending on which Gav’ cap you don. Worst case scenario, pretend you’re Justin Timberlake! If you’ve got a lot of dainty black tops (you’re allowed to dye some table-cloths or curtains too) pair them with lengthy black dresses. Simply add some black cherry lipstick, and you’re ‘royally’ squared away with a last minute costume that will forever ring the year that’s been. All it takes is some versatile hair product, some careful combing, and clipping on the side for good measure. With twenty dollars spent at a nearby ‘thrift shop,’ you’re Mackle-made. Have a quiet clingy friend? Ryan Lewis.